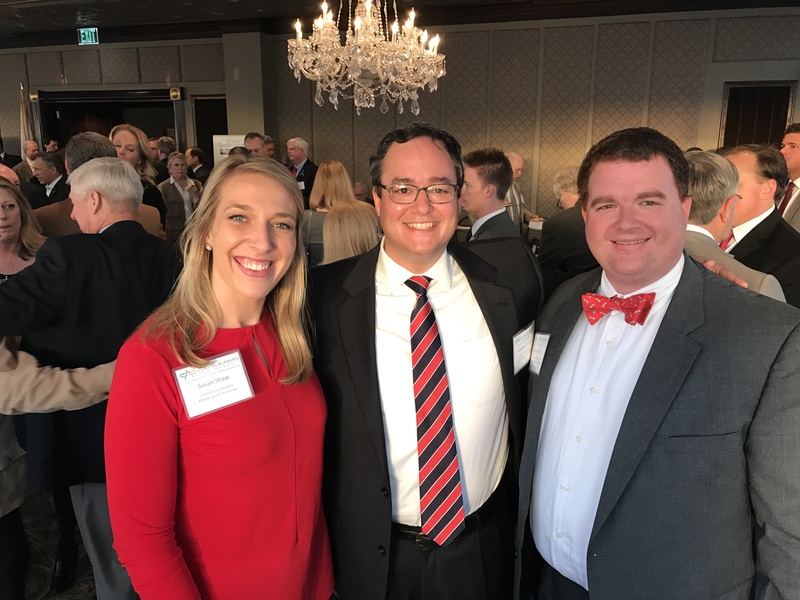 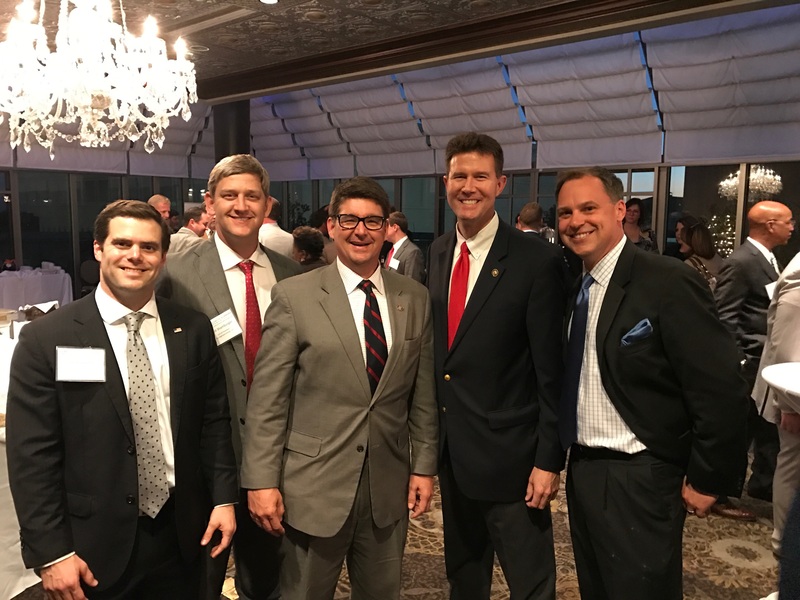 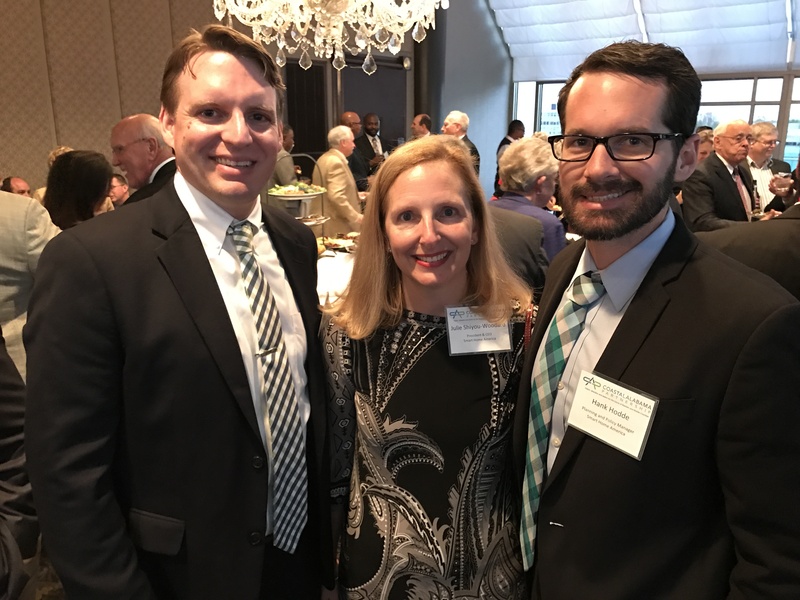 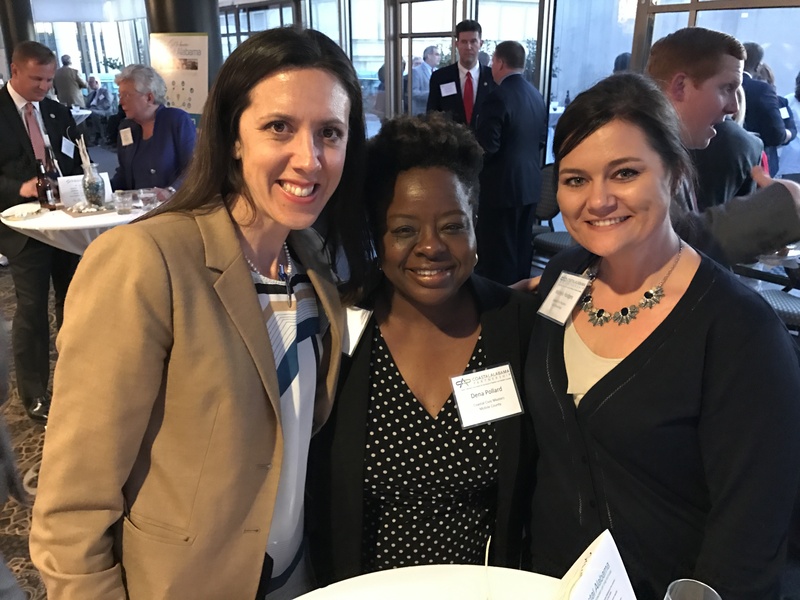 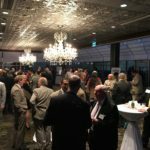 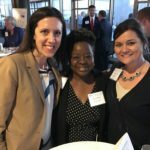 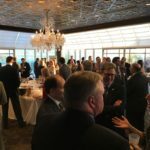 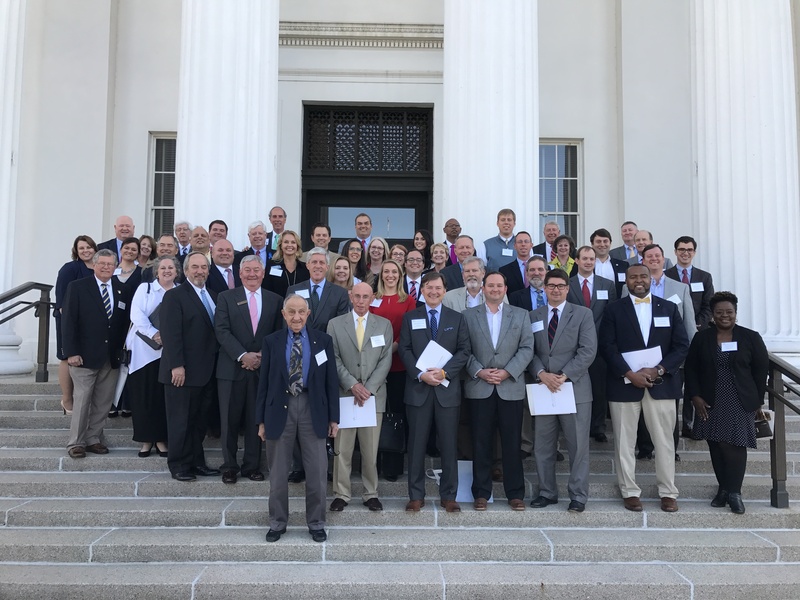 On March 8th 2017, business and elected leaders from Mobile and Baldwin counties traveled to Montgomery to spend the afternoon hearing from state leaders and to enjoy an evening reception honoring their service and dedication. 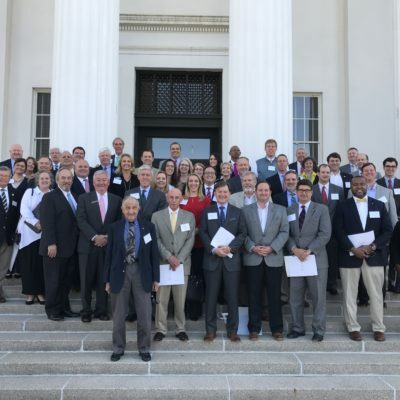 This is the third year Coastal Alabama Partnership has hosted this trip and provided the opportunity for leadership in Mobile and Baldwin counties to speak with one, regional voice at Alabama’s state capital. 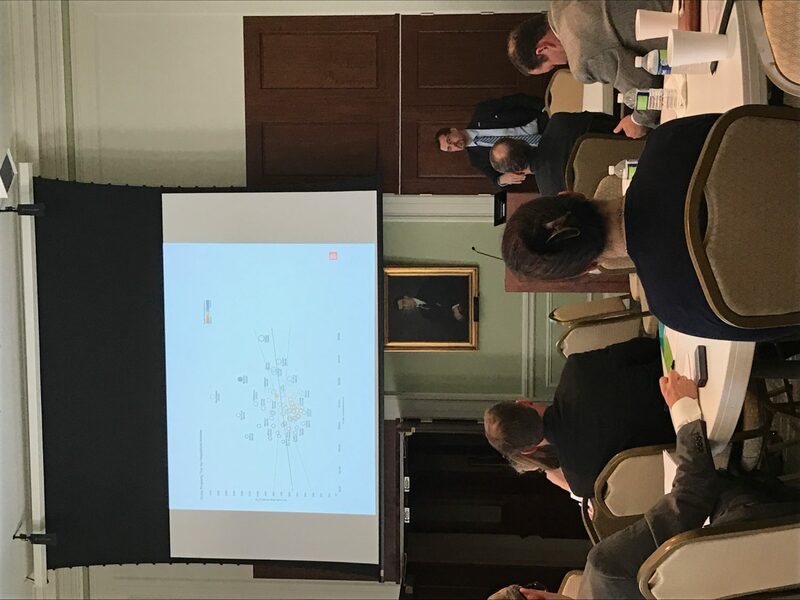 Over lunch, attendees heard from Ryan Hankins, Director of the Public Affairs Research Council of Alabama. 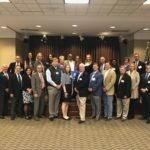 Mr. Hankins reviewed the impact of tax revenues collected in Coastal Alabama to the State. 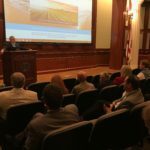 After lunch, several speakers addressed the group on topics important to the two coastal counties. 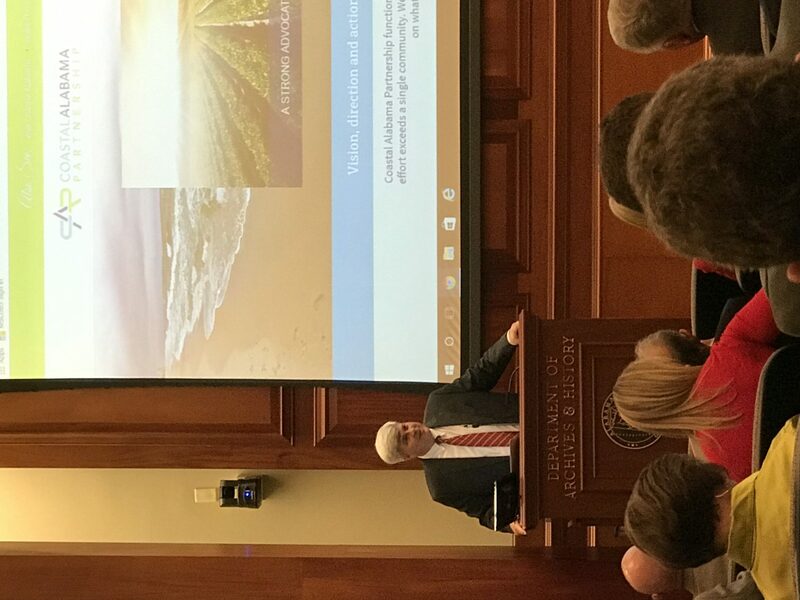 Alabama Department of Agriculture and Industries Commissioner John McMillan discussed the impact of technology on our economy, growth of agriculture across the State and in Coastal Alabama as well as the impact of national issues upon Alabama, including NAFTA and immigration issues. 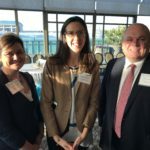 “Food security is a national security issue,” said Commissioner McMillan. 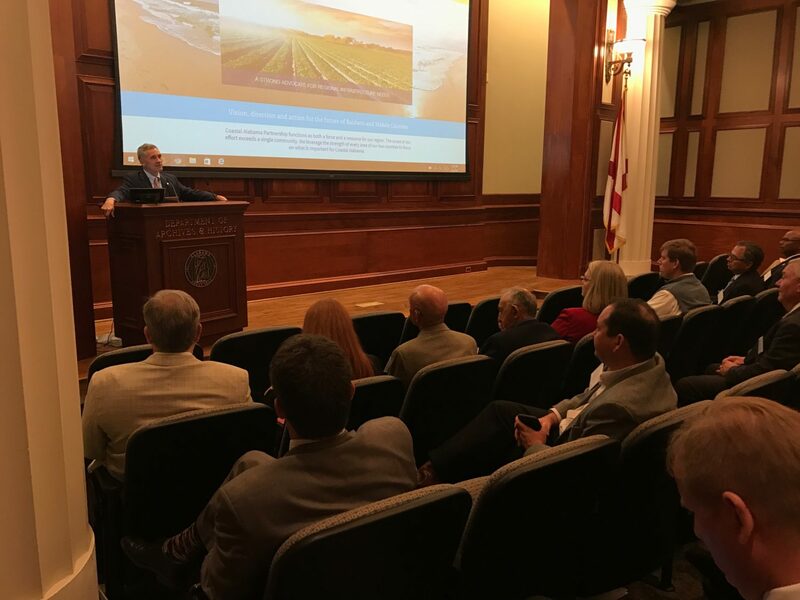 McMillan also discussed opportunities for Alabama businesses related to the opening of markets in Cuba. 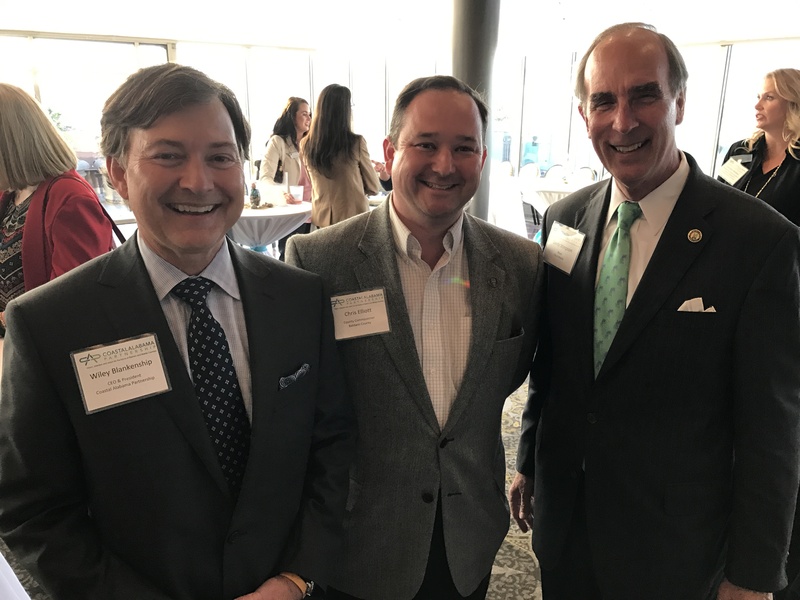 Next, Alabama Senate President Pro Tempore Del Marsh covered many topics in speaking to the gathering. 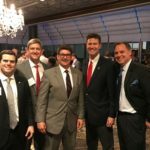 Regarding the possible gas tax increase, Senator Marsh stated “I am excited for the potential that we can pass a bill. 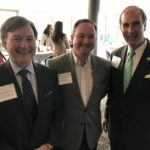 I didn’t have that three weeks ago.” He also emphasized that “education is the single most critical issue in the State.” He spoke in favor of a comprehensive education plan, one with all levels working together and one that will continue to offer school choice. 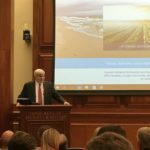 Lastly, Senator Marsh discussed the prison plan to create several “mega” prisons around the State. 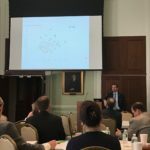 He discussed that the plan will ultimately reduce costs, includes vocational training and addresses mental illness. 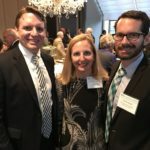 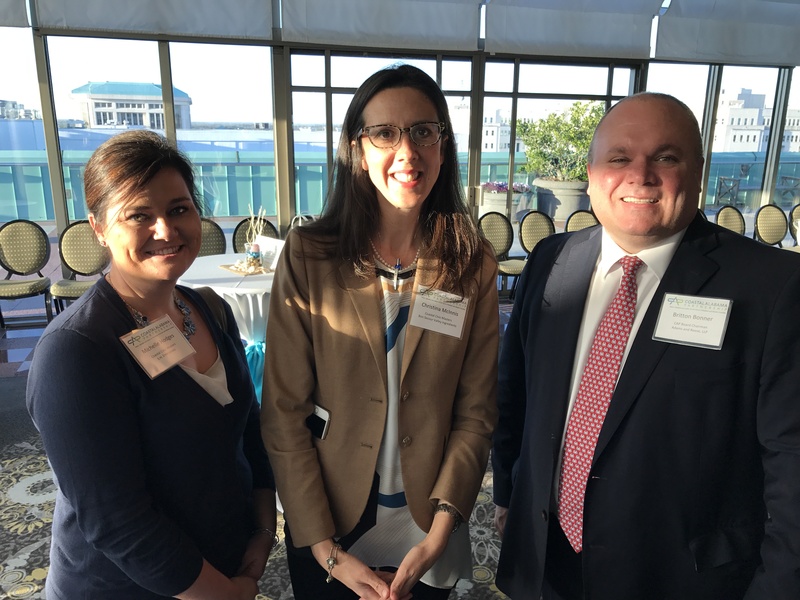 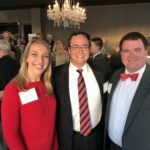 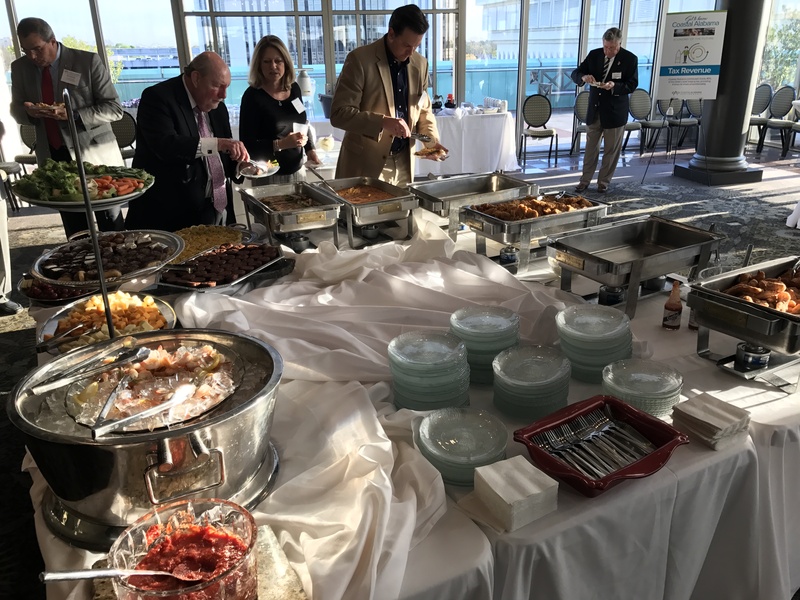 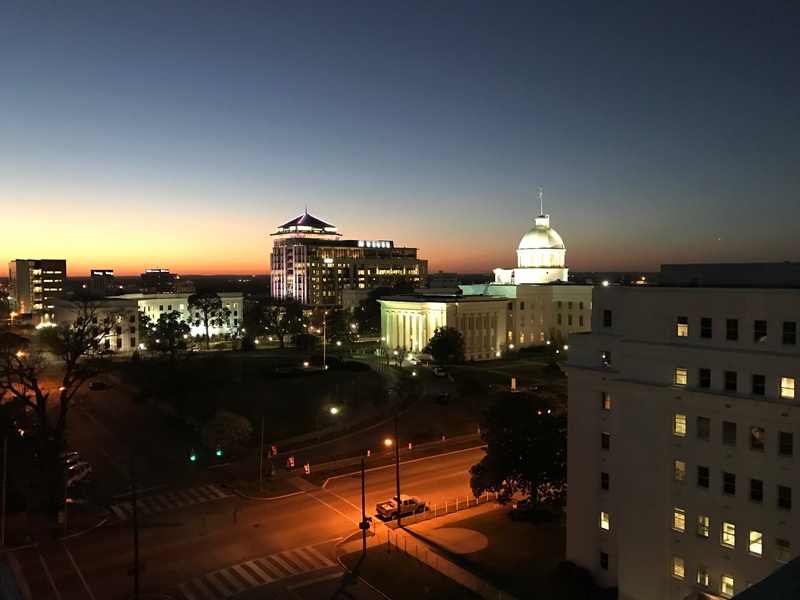 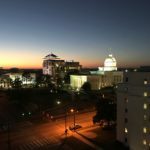 Following the day of speakers, the group relocated to the RSA Plaza Terrace for an evening reception joining additional leaders from Coastal Alabama, the State Legislature and Administration. 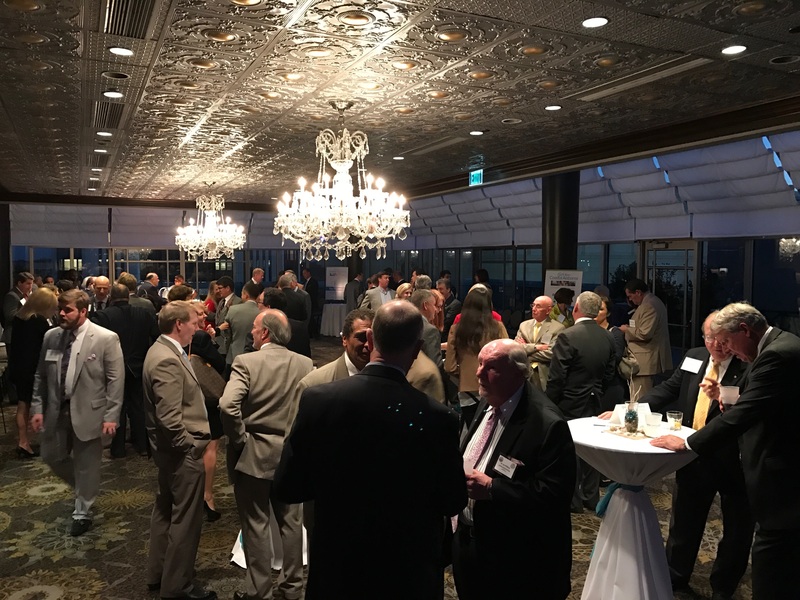 Over 250 stakeholders attended the reception, including 50 state legislators. 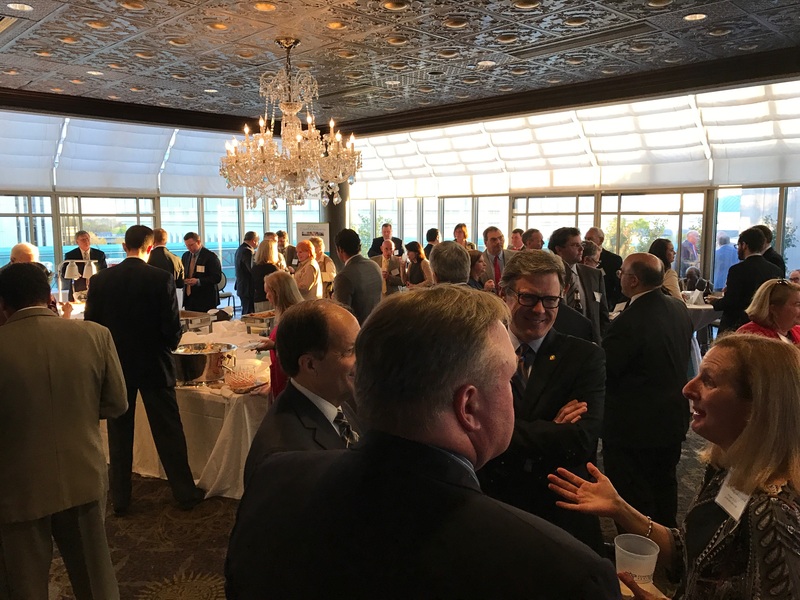 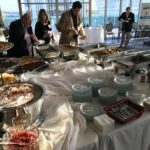 The reception focused on educating state officials on the significant economic impact Coastal Alabama has on the State. 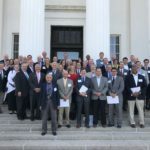 Coastal Alabama Partnership wishes to thank our partners in your support of this legislative trip. 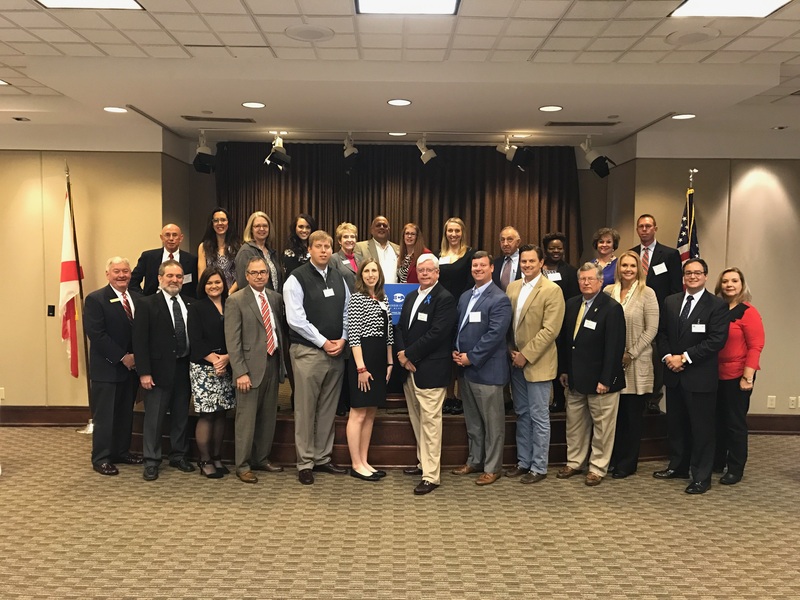 We appreciate the support of Lyons Law Firm, Coastal Alabama Business Chamber, Goodwyn Mills & Cawood, Eastern Shore Chamber of Commerce, Renasant Bank and Adams and Reese, LLP.